Mission: To provide access to a sampling of books representing the history of children’s literature and illustration. Books added to the collection are chosen based upon its impact on the field of children’s literature, the historical value of text or illustrations, and the book’s uniqueness rather than monetary value or rarity. 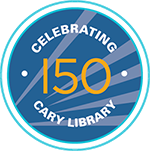 The Cary Memorial Library Children’s Rare Books collection is accessible to all patrons during regular library hours. Children under the age of eleven may use the Rare Books collection only with an adult present. Books in the Children’s Rare Book collection may only be examined in the Children’s Room at a location designated by Children’s Room staff. Patrons are required to leave a driver’s license or library card with the Children’s staff while examining books from this collection. Only two books from the collection may be requested/viewed at one time by a single user. In order to protect the materials, books in this collection may not be photocopied, or scanned. Patrons wishing to take notes while using a rare book may use only pencils. Food, drinks (including covered beverages), and chewing gum are not permitted while using the collection. Staff will inspect the books prior to use and again upon return. Patrons will be responsible for any damage to a book while in their possession. Patrons who wish to examine books in this collection will be given a copy of this policy.